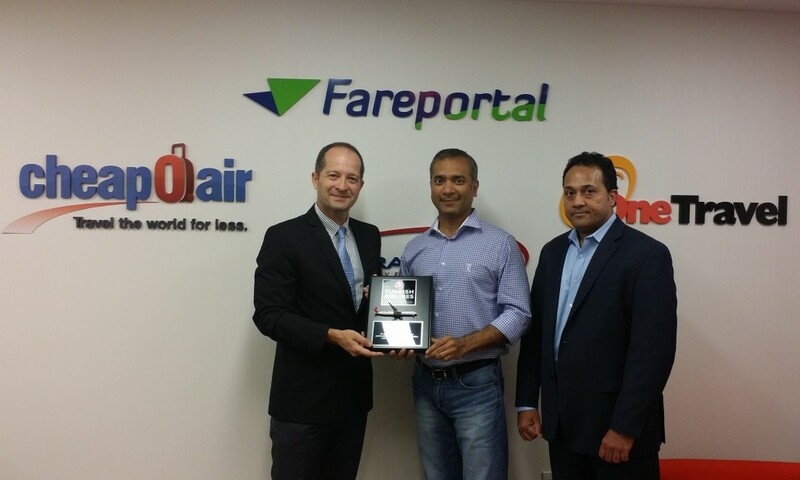 (L-R) New York regional marketing manager for Turkish Airlines Alp Ozaman, CEO of Travelong Sam S. Jain, and senior vice president Sanjay Hathiramani accept the Turkish Airlines award at Fareportal’s New York headquarters. Travelong, a Fareportal company, announced today that it was recognized by Turkish Airlines for its high sales achievement in 2013. The award is based on 2013 sales results from its leading consumer travel brand, CheapOair, the hybrid travel agency that allows consumers to book travel online, on mobile apps, and by phone with certified travel agents available 24/7. “Turkish Airlines is happy to award Travelong for its exemplary performance, outstanding efforts and dedication to supporting our sales efforts in 2013,” said Alp Ozaman, regional marketing manager, New York, for Turkish Airlines. Through parent technology company Fareportal and its consumer travel brand CheapOair, Travelong works closely with the airlines to promote their products and services. The company’s continued success has been acknowledged by awards from numerous airlines, as well as ranked in the top ten on Travel Weekly’s esteemed Power List. CheapOair announced today that it has been chosen by Spirit Airlines as the first distribution partner to offer its customers the airline’s paid baggage options. Customers who book their Spirit Airlines ticket on CheapOair will be offered this time and money saving feature, which can save them up to 50 percent by purchasing checked or carry-on bags at the time of booking instead of at the airport gate. CheapOair customers can benefit from the ability to pay for their baggage option ahead of time, which will simplify their experience at the airport. At the same time, a more streamlined check-in process will also help Spirit Airlines realize more efficient airport operations and predictable baggage sales. Fareportal, the parent company to leading online travel agencies CheapOair and OneTravel, announced today that it was ranked number ten on Travel Weekly’s esteemed Power List. This recognition from one of the top publications in the trade industry, coupled with the company landing within the top ten, further solidifies Fareportal as a leader in the online travel space. The 2014 Power List recognized Fareportal’s achievements throughout the past year, including its 2013 sales of $3.5 billion. In 2013, Fareportal focused on increasing its partnerships with major airlines, like American Airlines and US Airways, as well as releasing updated versions of its mobile apps and mobile websites for CheapOair and OneTravel. 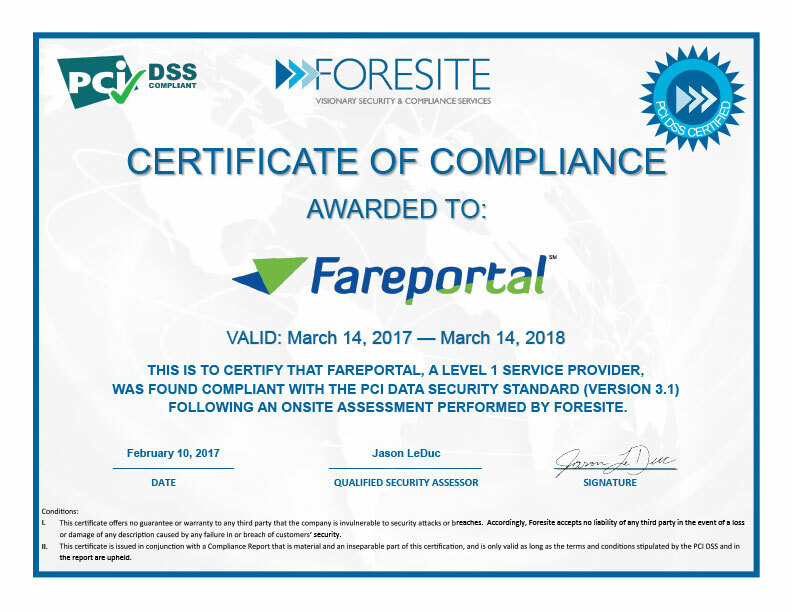 Looking to 2015, Fareportal is continuing to grow its arsenal of products in order to assist its customers in a multiple ways. Much like the past two years, Fareportal will focus on adding airline ancillaries to integrate value-added products and international expansion in more than ten countries and languages. Fareportal and its affiliate company Travelong have been continuously acknowledged for outstanding work, placing them among industry leaders such as Expedia, Priceline American Express, and AAA Travel. In the past year, Travelong has earned numerous performance accolades from partners including the Sabre Travel Network, Qatar Airlines, LAN/TAM Airlines, Avianca Airlines, SriLankan Airlines, Korean Air, China Airlines and Malaysia Airlines.